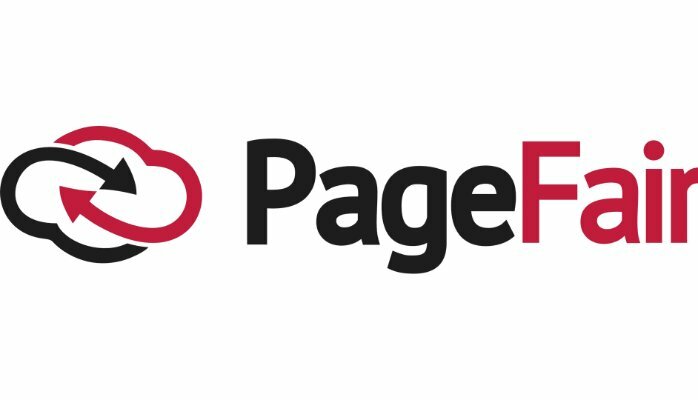 Latest guest post by Johnny Ryan, Head of Ecosystem at PageFair. Author of A History of the Internet and the Digital Future. Previously Chief Innovation Officer of The Irish Times. This piece first appeared here. A growing segment of Web users sees few or no ads. Publishers are suffering mounting revenue losses as a result. But even as blocking of advertising harms publishers it also undoes the mistakes of the first 20 years of advertising on the Web. Several vendors including PageFair have the technology to display ads in a way that is not affected by blocking. In the future it is likely that major industry incumbents (such as SSPs and CDNs) will also gain this ability. We believe that the ability to defeat blockers should not simply enable a return to the situation before adblocking. Hundreds of millions of users have rebelled against the status quo in advertising. We must listen to them. Advertising can be better. Earlier this month PageFair drew together the first summit of global stakeholders including consumer groups, advertisers, publishers, and browsers to consider the form that advertising on the blocked Web should take. You can read AdAge coverage here. The roundtable, which PageFair convened at Mozilla’s London office, included the World Federation of Advertisers, the European Commission, the World Economic Forum, Mozilla, IAB Europe, ISBA, the Worldwide Magazine Media Association (FIPP), the World Association of Newspapers and News Publishers, Digital Content Next (DCN), and others.1 The discussion focused on how to better respect users, support publishers, and provide value to advertisers. The user must have immediate tools to reject and to complain about advertising. This puts the consumer at the core of reform. There should be a more sustainable balance between ‘above the line’ and ‘below the line’ advertising on the Web. Rather than restore all ads we should display only a limited number of premium advertising slots. This will make a better impact for brands and clean up the Web. Use of contextual targeting to establish ad relevance should be increased. This will end the over-reliance on behavioral tracking of users. Better metrics of advertising success are needed to reform the economics and quality of online advertising. This will end the race to the bottom. These Four Points amount to an initial and tentative concord between four key communities – consumer groups, advertisers, agencies, and publishers – about a responsible approach to advertising beyond blocking. Agencies can have their cake and eat it. The Four Points, though radical, do not mark a painful departure for the advertising industry. It is true that large quantities of capital and other resources are being invested by agencies into the further development of personalized and captivating advertising. That is likely to continue. But in parallel the Four Points provide agencies with a new and separate opportunity to respond to blockers with contextual targeting that does not track users, and with simple, respectful formats in an uncluttered part of the Web. It is this parallelism – the ability of agencies to leverage the new opportunity of advertising beyond blocking without cannibalizing their status quo business – that will give publishers an opportunity to sustain themselves beyond adblocking. And fundamental to this approach is an understanding that adblockers are a new and valuable segment. Point 1. The user must have immediate tools to reject and to complain about advertising. This puts the consumer at the core of reform. Point 1 makes consumer choice paramount. The user should, literally, have an immediately obvious mechanism, such as a large X, and a simple thumb up and thumb down button that he or she can tap to kill the ad or give immediate feedback. This will also give the advertiser useful insight on which ads are positively and negatively received. Point 2. There should be a more sustainable balance between ‘above the line’ and ‘below the line’ advertising on the Web. Rather than restore all ads we should display only a limited number of premium advertising slots. This will make a better impact for brands and clean up the Web. Rather than use technology to simply put all the ads back what is proposed here is to limit the quantity of ads. And rather than imposing a prescriptive standard of what a “quality” ad is, this approach exploits the market conditions that arise when a limited number of ads has the benefit of abundant audience attention. The scarcity of this inventory will incentivize advertisers and agencies to invest in quality creative. We know that the formats that blocking users are most willing to tolerate are text, image, and skippable video pre-roll. Chart: survey of adblock users who were asked what types of advertisement they would be most willing to tolerate. Combining these formats with scarce inventory establishes a premium form of advertising that better serves brands and improves the user experience. In other words the ads that are displayed will be not only fewer but better too. Point 3. Use of contextual targeting to establish ad relevance should be increased. This will end the over-reliance on behavioral tracking of users. Blockers are largely cookie-less users, because the majority have blocked tracking cookies. They can not be tracked across the Web. This means that the ‘below the line’ marketing activities that focus on the bottom of the marketing funnel become unworkable. But this creates a new opportunity: appeal to these users in the same way as the glossy advertisements do in premium magazines. Ads can be shown to relevant consumers simply by using the context of the content alongside which they appear. For example, an ad for golf equipment is likely to be relevant to a person who visits a site to read a piece of content about a golf event. Using contextual relevance is how offline media have always placed advertising, and it works for the Web too. Taken together, points 2 and 3 dramatically expand the role that the Web can play in the marketers toolkit. This new type of premium ad can help marketers use the Web as an ‘above the line’ medium similar to TV, radio and magazine and newspaper advertising, which focus on the top of the marketing funnel. Point 4. Better metrics of advertising success are needed to reform the economics and quality of online advertising. This will end the race to the bottom. More realistic metrics, perhaps akin to those used off line to measure important results like purchase intent, could incentivise procurement departments within brands to focus on value over price. Rather than spend their budgets on lots of cheap inventory that appears in inferior places (the audience might be bots) advertisers equipped with better metrics are likely to invest inventory that can cut through the clutter.